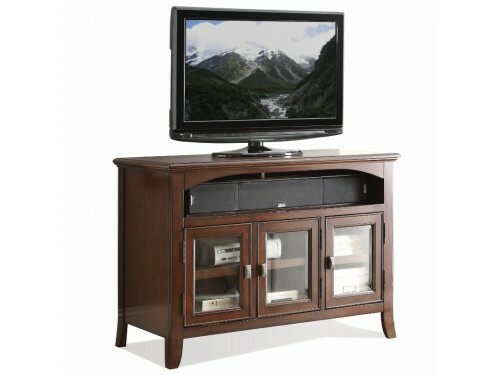 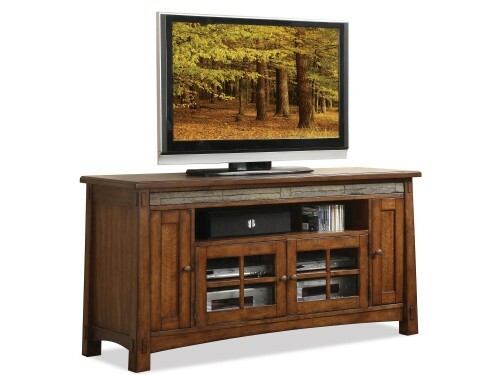 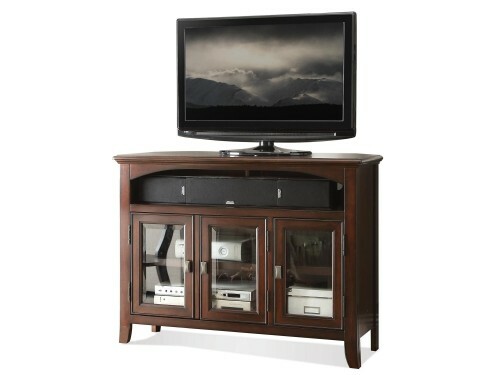 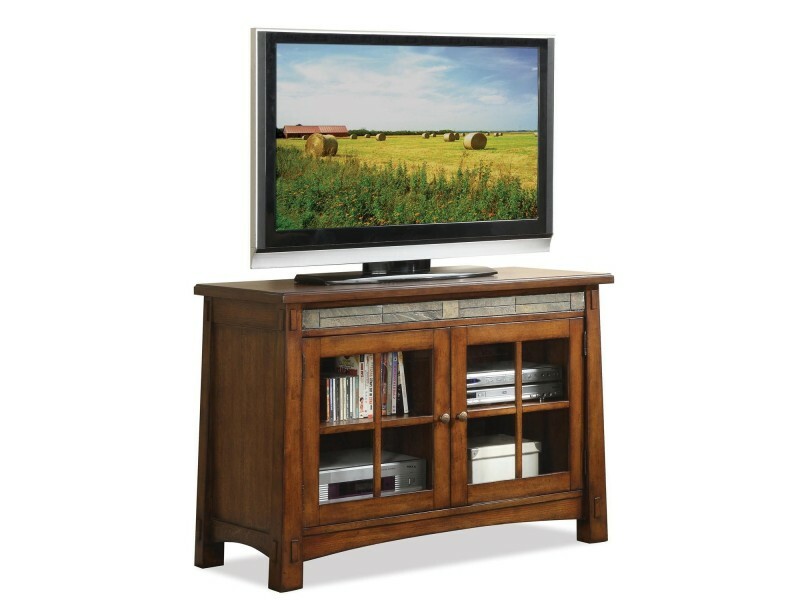 This 45-Inch TV Console is part of the Craftsman Home Collection by Riverside Furniture. 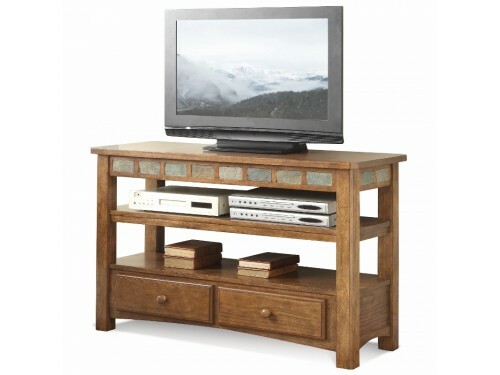 The console is constructed of hardwood solids with Oak veneers has an American Oak finish. 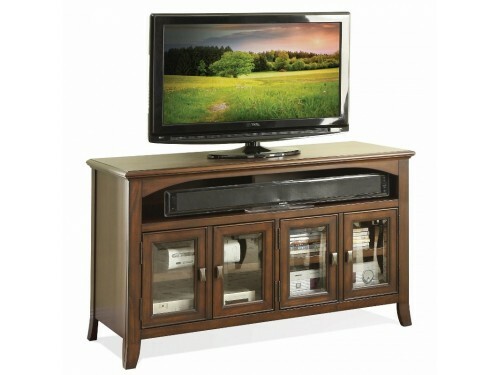 The console features a front slate tile inlay and two outside media pull-out drawers mounted on ball-bearing extension guides have two shelves with adjustable wire dividers for CD,DVD,VHS storage. 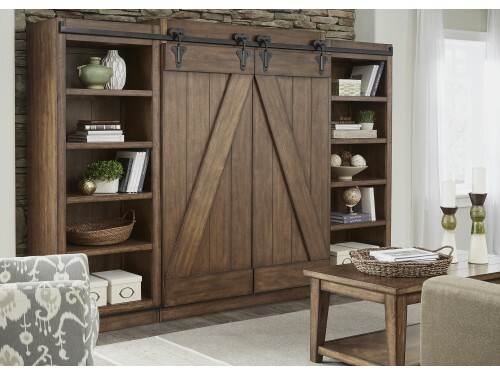 Each center door has a glass panel insert & encloses an adjustable shelf with ventilation slots. 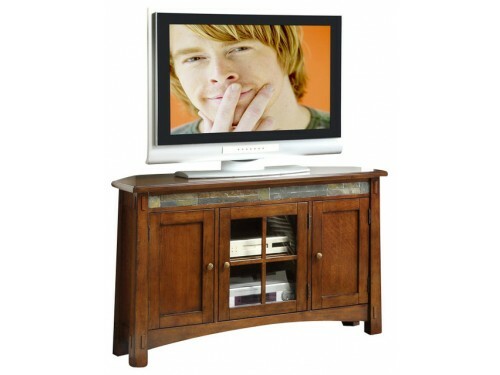 Dimensions: 45.00"W X 20.00"D X 32.00"H.